Not much history readily available on the internet for this site. In the scramble for underground storage space, Linley had already been rejected by the War Office and the Air Ministry because of its instability and tendency to flood. But in spite of this the RAF took possession in May 1941. The original cost for converting the caves to an ammunition depot was £250,000, but this did not take account of the poor state of the roof or the ten-degree slope of the floor which meant that level concrete terraces had to be built. During construction the roof kept caving in and by August the costs were in excess of a million pounds. Until recently the site was used by cave divers, however this activity ceased a couple of years ago when the owners installed a security fence around the site. 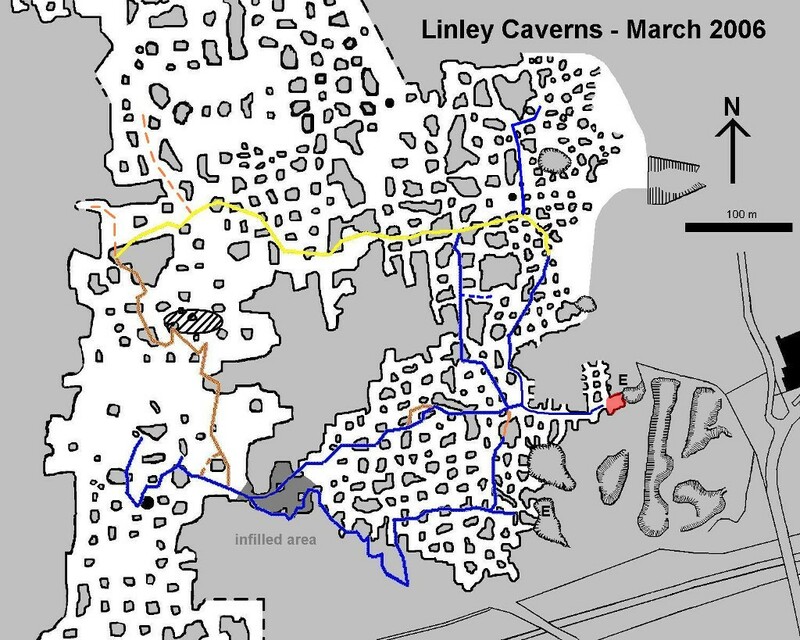 Due to the flooding of the caverns not much exploring can be done without diving gear, we could only access the entrance, highlighted in red on the map of the site. I apologise in advance for the poor quality of the photos, these are the few I managed to salvage. 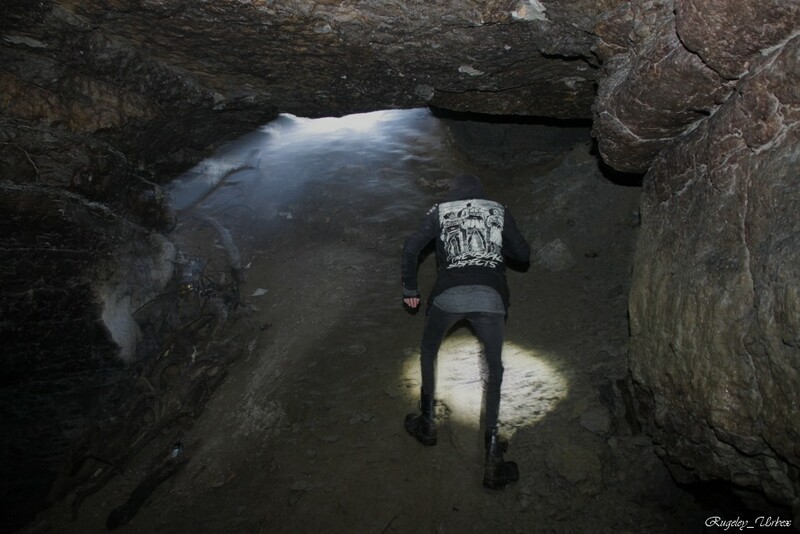 I had forgotten my tripod and had no luck trying to illuminate the cave with my flash or torch.